The Ultimate Guide to 11 Meter CB Antennas - This site is dedicated to bringing true information about the different types of antennas you can use, buy and build for Citizen Band Radio and 11 Meter DXing. Modern Beverage Receiving Antenna - A helpful guide to building your own beverage-type low noise receiving antenna for broadband use. Easy, do-it-yourself suggestions to optimize directional performance, even if you lack a farm to put it on. CobWebb revealed - A 27 pages pdf file revealing secrets of the cobwebb or cobweb multiband antenna with many pictures and assembling details. A great document that can guide you in making your own cobweb aerial. 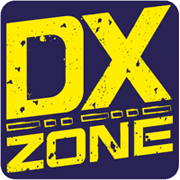 Check DX Propagation with Beacons - W0RW article that guide you to using beacons to determine dead bands or upcoming propagation openings.